YEAH!!! Today, Tazza D’Oro Gets One of the Finest Coffees in the World. Scott Merle and Batdorf and Bronson, THANK YOU! Once again, our coffee roaster continues to set the bar for Tazza D’Oro and remains committed to our vision and our sustainability. Through meetings and phone calls, we talked about the possibility of Tazza D’Oro having it’s very own micro lot of coffee. 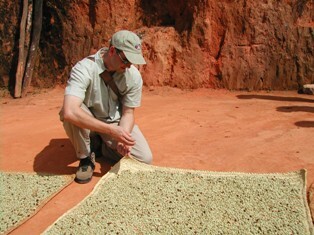 The folks at Batdorf and Bronson have consistently listened to our ideas and shared their ideas in order to help us reach the next level in achieving excellence in coffee, espresso, training, sustainability, reducing our environmental footprint, customer service and the fine intricacies of relationship and partnership. 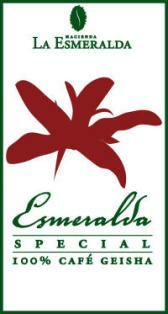 Today was another example – a small independent retailer working with a small independent, exceptional roaster and securing a batch of Esmeralda coffee. We will be posting more on this as soon as we find the words and drink all the champagne. We hope to have the coffee sometime in June and in the next few days there is lots to tell you about the batch of coffee, the farm and the location on the farm where it was grown. There are rumors of music, outdoor fire, food, singing, vino and drumming happening at Tazza D’Oro tomorrow night. What an awesome way to celebrate. Oh no, NOT GRAPPA TOO! Good for you! Didn't know you were going that route. Smart, smart play. I think more quality retailers will be going this route down the road. We got some of the "budget batch" that was grown on the wrong side of the tracks. Obviously we're not trying hard enough :( Melanie owes you a call, but yeah, we're up for that. Hey Rich- Congrats to you too. Listen, this coffee is so damn yummy its hard to go wrong no matter what side of the tracks!